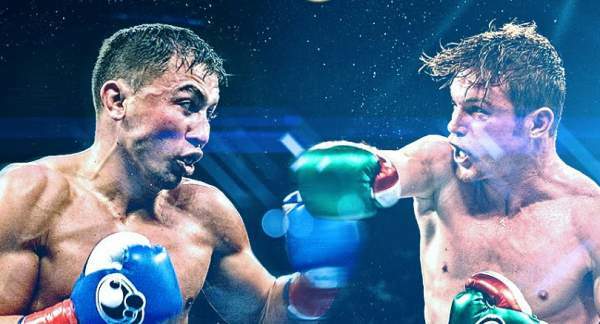 Canelo vs GGG: The live streaming info and how to watch online details are mentioned below. Here’s the start time, TV channels (broadcasters), preview, predictions, match card, and everything else you need to know. Canelo Alvarez vs Gennady Golovkin has the potential to become the fight of the year. They will come across for a middleweight super fight today. The bout will witness the WBA, WBC, IBF, and The Ring belts put on the line. The much anticipated fight will take place tonight, September 16, 2017, at T-Mobile Arena in Las Vegas, USA.It will start at 8 pm ET (3:30 am UK time). Depending upon the undercard bouts, the main fight would start at around 10:30 pm ET or can be delayed further. 1.2 What TV channel is Canelo vs GGG on? 1.5 Betting & Odds: Who’s the favorite? 1.6 Canelo vs GGG Prediction: Who will win? It will cost viewers £16.95 to watch it online. It’s slightly less than Flyod Mayweather vs Conor McGregor fight which took place recently. The current paying subscribers and new customers who want to subscribe via the Box Office service will get it as a part of their monthly subscription. If you want to watch it on Sky, better buy Canelo v Golovkin via the Sky remote control. It’s been on sale since September 9, Saturday. Virgin Media customers can also buy it via their remote control. If you are neither a Sky or Virgin Media customer, then you have the option to buy this fight through boxnation.com. If you still have some doubts, first choose your platform – Sky, TalkTalk, Freeview, Online or App and then, follow their instructions. You can cancel anytime you wish. Related: England vs West Indies live stream. What TV channel is Canelo vs GGG on? You can catch the live updates on Box Nation, a dedicated boxing channel on BT Sport and Sky networks. The US viewers can watch it on HBO and will cost $69.95 in SD and $79.95 for HD. Mexican fans watch it on Televisa and TV Azteca. Betting & Odds: Who’s the favorite? Canelo vs GGG Prediction: Who will win? It’s an incredible point but can go either way. What are your views and thoughts regarding this fight? Who do you think will win the match? Let’s connect with other readers as well in the comments. Don’t forget to share it on social media sites.